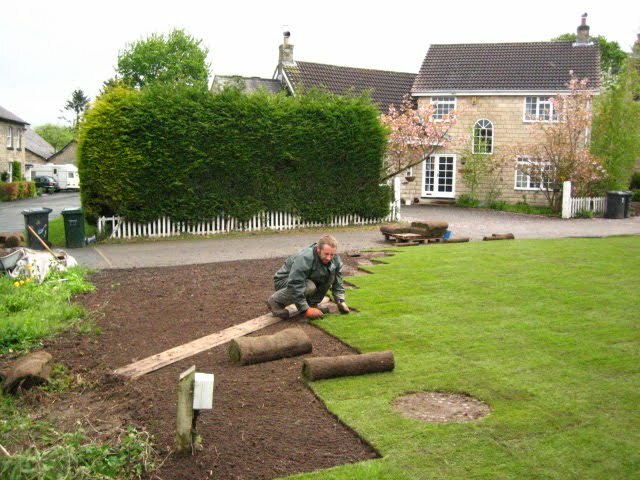 Eco Garden Maintenance (Tadcaster) have provided many new lawns by laying turf or sowing grass seed for clients in the Leeds, York, Selby , Wetherby and Tadcaster area. This has involved creating a whole new lawn or replacing an old tired one. In both cases preparation is the key to success along with the quality of turf or seed used. We use top quality turf and grass seed from local suppliers to ensure the product is good and has not traveled too far to get to it's new home. There is a considerable amount of work needed to produce a good lawn that stays looking attractive. Turf always looks good when it is newly laid and we want it to stay that way, so it is worth paying attention to the preparation before applying the turf. Similarly when seeding, the seed needs a suitable soil which is of adequate fertility and structure. It is no good wishing you had improved the soil after the grass has germinated or the turf rooted because by then it is too late. If there is no soil, then whatever is there will need to removed to a suitable depth and replaced with adequate amounts of fresh, good quality soil. Adhering to the above process will ensure that your new lawn gets the best start it can and continues to look good for many years. There will still be maintenance to carry out on new lawns but it will not be quite so intensive. The sowing of grass seed is best carried out in spring and autumn when temperatures are not too high and there is adequate rain fall to provide the moisture that the seedlings require. Turf is best laid in autumn, winter and early spring when rooting can commence without the frequent pressure of having to irrigate. Turf and seed can be used to provide a lawn in the summer as long as they are never allowed to dry out. Turf will shrink and the grass contained in it will die if there is not adequate moisture, after all it has limited root with which to extract water from the soil. Which is best, turf or grass seed? We often get asked whether new lawns should be created using turf or seed. Both methods have their advantages and disadvantages. Turf gives an instant lawn right from the beginning and does not allow weed seeds to germinate as the soil is covered, although perennial weed roots which were not killed or removed will regrow and appear in the lawn within a few weeks. If cost is a consideration then using turf is more expensive than seeding but some of the extra cost may be recouped later. Seeding requires that the soil is suitable for best germination to occur and weed seeds will start to grow along with the grass seed. 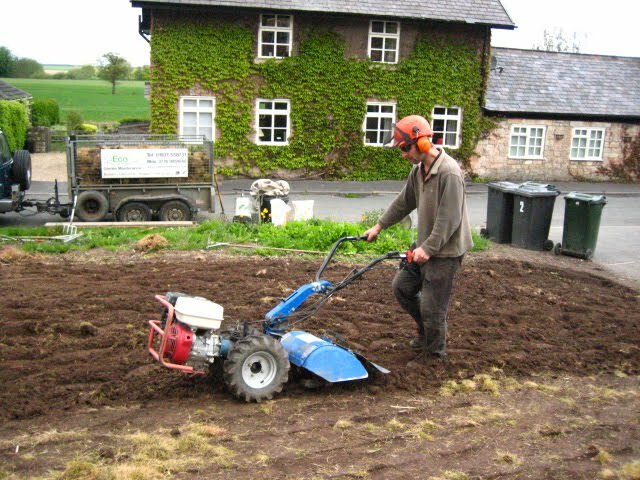 The weather and temperature are also considerations and are the main reasons why grass seed is sown in spring or autumn. On the plus side, sowing grass seed allows us to carefully choose the species of grass contained in the mix to suit the conditions it will be growing in. Also for those of us who like to keep our carbon footprint to a minimum, grass seed is much more eco friendly than turf. If you would like to replace an old tired lawn or make a new one please contact Eco Garden Maintenance for a free no obligation quote.